Reaching out in NE Fife – drought risk, climate change, agriculture and YOU! Drought Risk and You – talking about drought, climate change and farming in Freuchie, Saturday 20th January 2018. Scotland is considered by many as a wet country but over the past years we have seen some prolonged dry periods – for example, 2003 in Tayside, 2008 in the Hebrides and 2010 in SW Scotland. 2017 saw a dry spring in central Scotland. What were the impacts of past droughts like 1976 and 1984 in Fife? What could future drought look like in Fife? What might the impacts of future droughts be on agriculture – on food and fodder crops? How might grassland – a common land cover in lawns, golf courses and pasture – be affected? What research is being undertaken in Fife and the UK to investigate these impacts? Come and join an action-packed morning where we share some of the science that has been generated though the DRY Project. You have the opportunity to share your stories about past, present and future drought impacts and possible adaptations to drought and water scarcity in Fife and Scotland. Perennial Rye Grass and Lucerne. 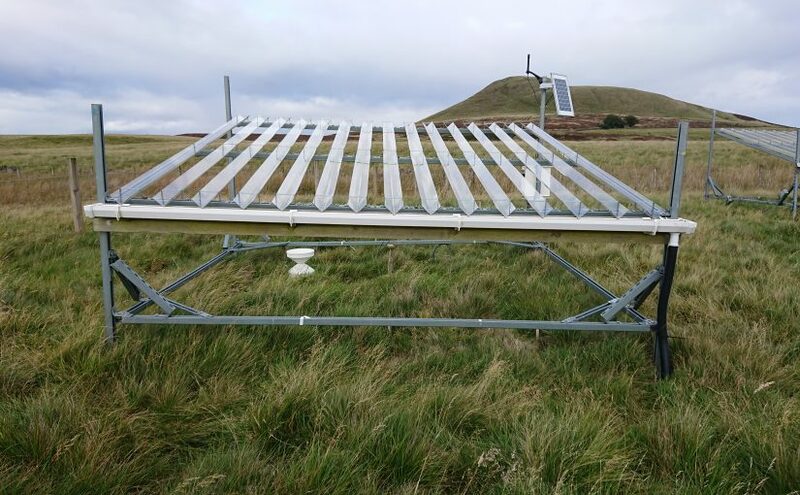 Dr Andrew Black (Dundee University) – local coordination for Eden (Fife) catchment, leading site visit to “rain-out” (drought simulation) grassland experimental site on the slopes of East Lomond. Members of the digital storytelling team from the School of the Arts, English and Drama at Loughborough University. To assist with the collection of digital stories, the organisers are interested to arrange opportunities to audio/video record your experiences and insights about drought risk in the Eden catchment. We’ll follow up all registrations with a follow-up email asking (without any obligation) if you would like to make yourself available for this.